For Friday, June 21, in conjunction with the conformation show, there will be CGC and Trick Dog testing in Minett Hall. Check back in the future for an entry form. 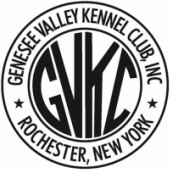 For Saturday, June 22 and Sunday, June 23, both GVKC and TVKC, in conjunction with the conformation shows, there will be two Rally trials and one Obedience trial in Minett Hall. In addition, there will be a heart clinic on Saturday and any eye clinic on Sunday. Check back in the future for the heart/eye clinic entry form. Other plans are under way. Check back here later in the year for updates. Contact us/Join our email list.